This category lists Buddhist works described as "sutras", i.e., the words of Buddha. 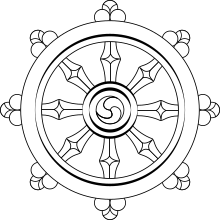 Symbol of Buddhism, the Dharma Wheel. This page was last edited on 3 March 2017, at 11:58.